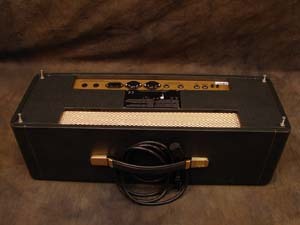 Ever wonder how to ship a tube amp? 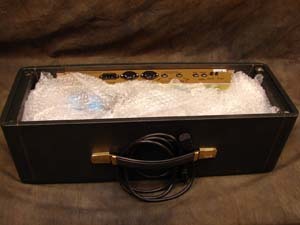 There are a variety of packing methods however based on years of experience shipping vintage and used amps here are our suggestions for packing a tube amp for shipment. 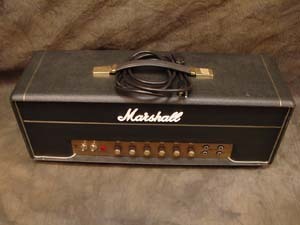 In this example we show how to ship a Marshall head. 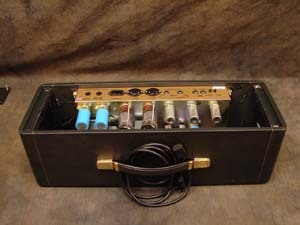 Remove the power cord (on newer amps) or coil the cord and insert under the handle. 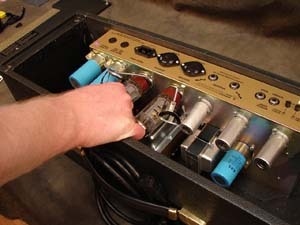 Remove the screws on the back of the cabinet. Remove the back of the cabinet. 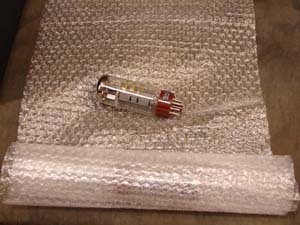 Carefully wrap the tubes in bubble wrap. Replace the back, and screws. 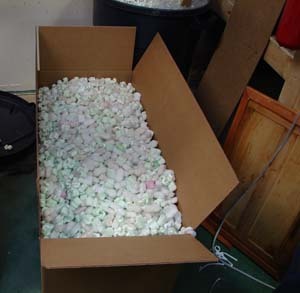 Make sure the back is a little snug but you should not have to push hard to get the back on. 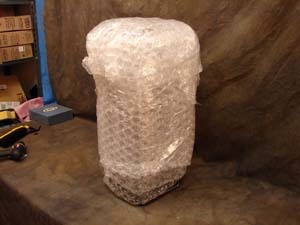 Wrap bubble wrap around the cabinet. 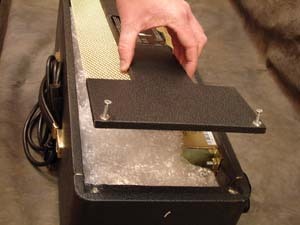 Place a a strip of bubble wrap on the bottom of the box then lace the amp into the box. 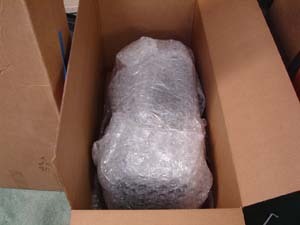 Note, you must use a sturdy box intended for shipping. 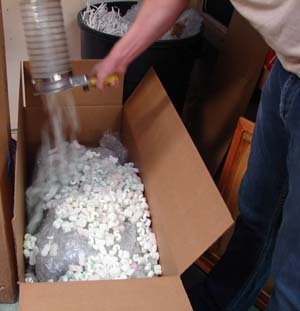 Fill the box completely making sure there are peanuts between the sides of the box and the bubble wrap. 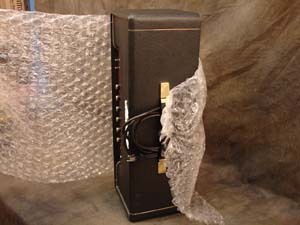 Tape the box securely with several layers of strong tape and you're ready to ship !